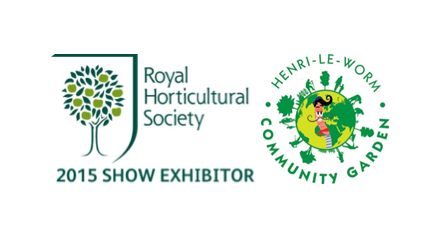 We are delighted to be exhibiting an Henri Le Worm children’s garden at this year’s Hampton Court Flower show. The garden will be project managed by the ex Blue Peter gardener and horticulturist Chris Collins. 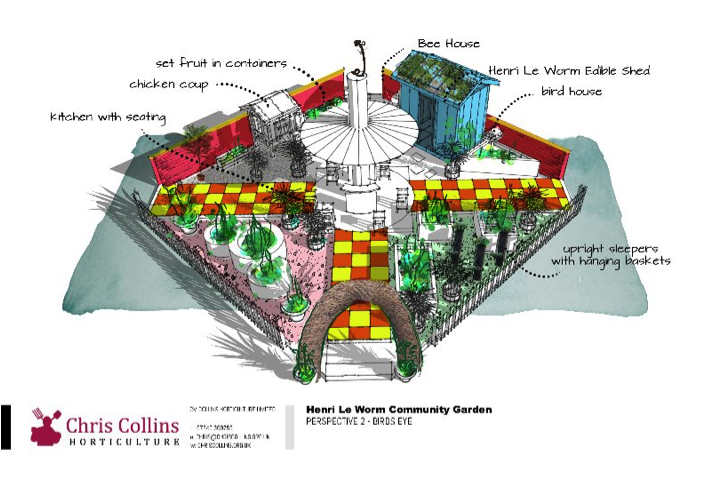 It will comprise of five sections, a central cooking demo area in the middle topped off with a 3 metre wicker sculpture of Henri, a livestock area, a schools demo garden area, a recipe garden and an edible garden. Imagination, lots of fun and education are the primary elements we will be integrating into our interactive children’s garden at this year’s Hampton Court Flower Show. We will then move it to Woodlands farm in Charlton, SE London, where we will create the first of hopefully many community gardens to be used by schools, so the project has real longevity! The gardens are to be used with local schools as part of a cross curricular approach to teaching where the children can learn about cooking, history, geography and the sciences. 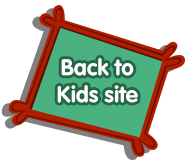 We also hope that the gardens will provide safe spaces within urban areas for the children to enjoy outside of term time, as well as being open to the wider community. Come and visit us if you can the show runs from 30th June- 5th July.